An SNP Group motion to suspend standing orders at North Lanarkshire Council to force a vote on school transport was defeated. The council is consulting on changing eligibility for primary and secondary pupils and at the education committee SNP motions calling for the proposal to be scrapped narrowly failed. Bringing them to full council was ruled ‘not competent’ by provost Jean Jones and the vote to suspend standing orders was lost 30-42 as all Labour, Conservative and Independent members said no. 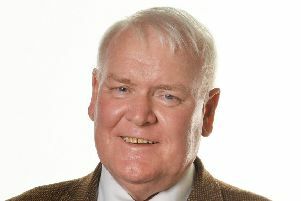 The Conservative group previously stated its opposition to the proposal, leading SNP business manager Allan Stubbs to accuse them of changing their position. He said: “When given the opportunity to end the uncertainty, Tory and Labour councillors refused to back us, meaning the prospect of these cuts remains very much on the table. Conservative Group leader Meghan Gallacher says they’re still against the potential cuts, and told the SNP to stop playing party politics . She said: “I want to reassure those affected that we will not be voting to change distances for primary and secondary school transport.